Helped build a solid online extranet for wholesale dealers to access real-time estimates, order stock, track leads. and make secure payments. The previous dealer center had a significant time delay in displaying accurate data, confusing dealers and staff. The client recognized the growing opportunity for online ordering and payment processing, but still required to centralize data within their in-house legacy system. Client team apprehension about taking orders online. Also, they needed a better way than PDFs to share updated stock sizes and pricing information. Working within the development team, I managed project requirements, established site architecture, organized client materials, defined dealer interaction/experience, ecommerce flow, functionality and technical specifications. 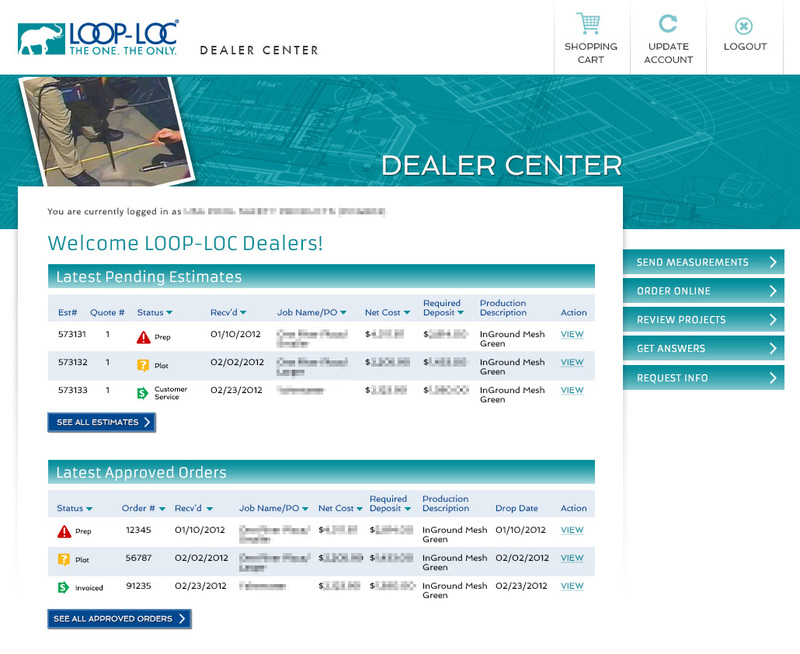 The resulting site provided the dealers with real-time data for all custom estimate and order details. Conceived and easy-to-use communications tool, for dealers to provide quick answers to pending estimate questions. Offered dealers a complete account of all inbound sales leads provided by wholesaler. 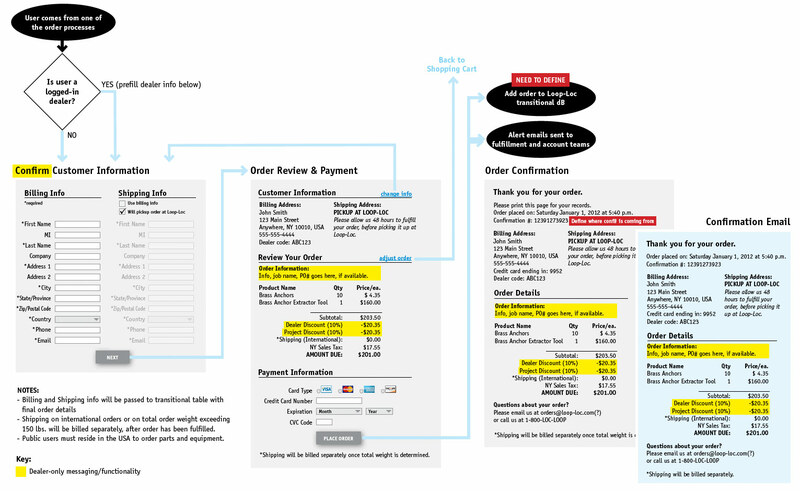 Integrated highly-customized ordering process for stock materials and custom projects, including online payments. Provisioned for client-specific discounts, taxes, rules and exclusions. Included an account access security upgrade process, to allow dealers’ to select more secure username and passwords, needed to protect the new ecommerce functionality. Provided email alerts for key steps in e-commerce flow, to ease the client’s staff into the new online purchasing process.